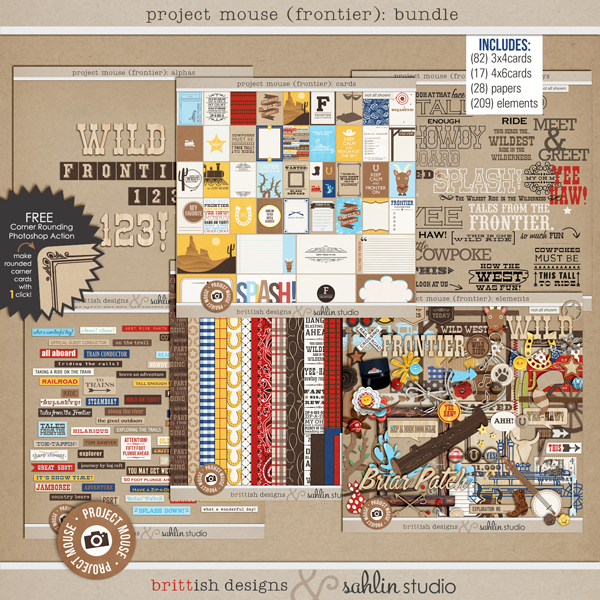 For this installment, we bring you Project Mouse (Frontier) Edition. 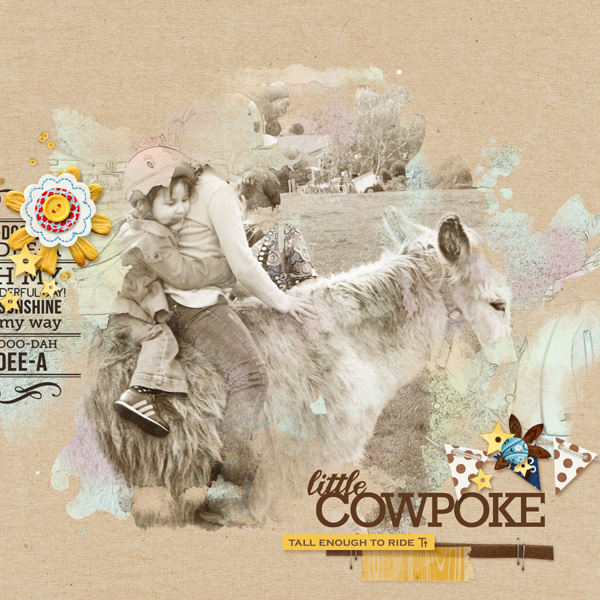 In this pack we go back to simpler time, where the sun shone bright at high noon, cowboys were our super heroes, tumbleweeds dusted about & the railroad was the height of luxury travel. 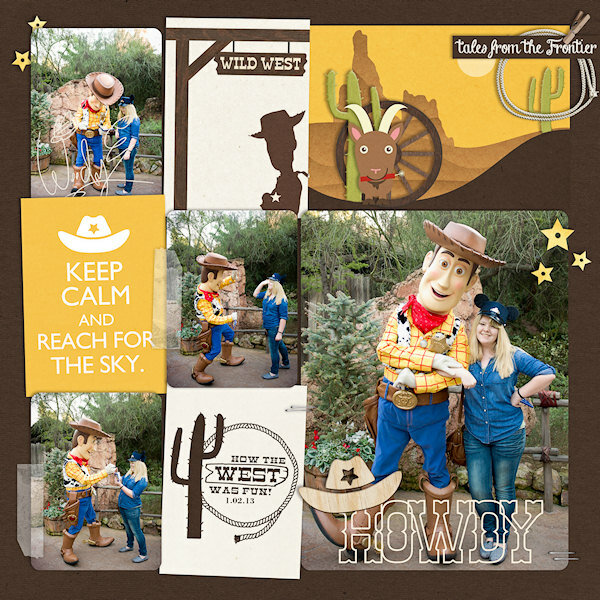 We're talking about the wild-wild west, of course! 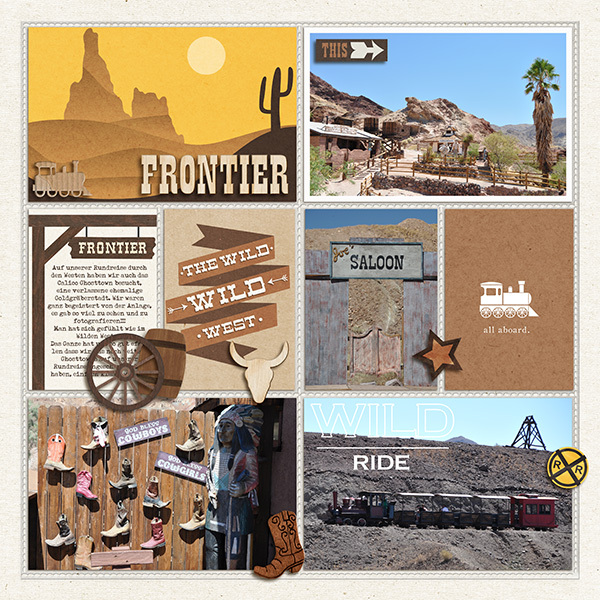 And what better way to celebrate the good ol' days than with our gorgeous set of Project Mouse: Frontier Photo Overlays! 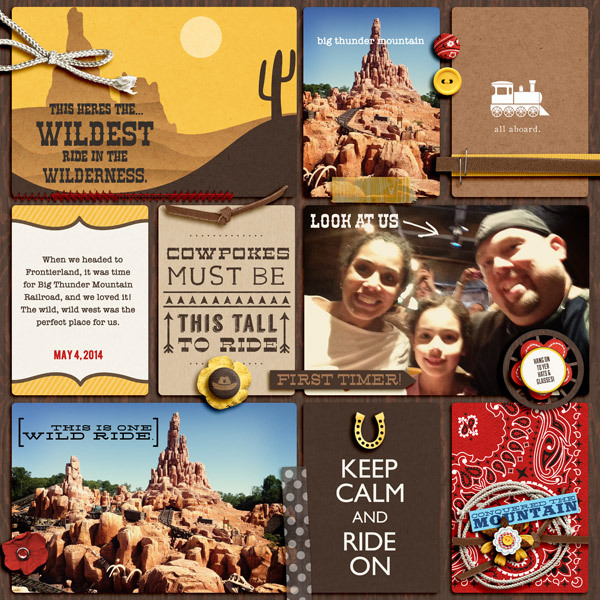 Filled to the brim with western themed word art and phrases, this pack includes everything you need to document southwest vacations, playing dress up, or even family night at the rodeo. 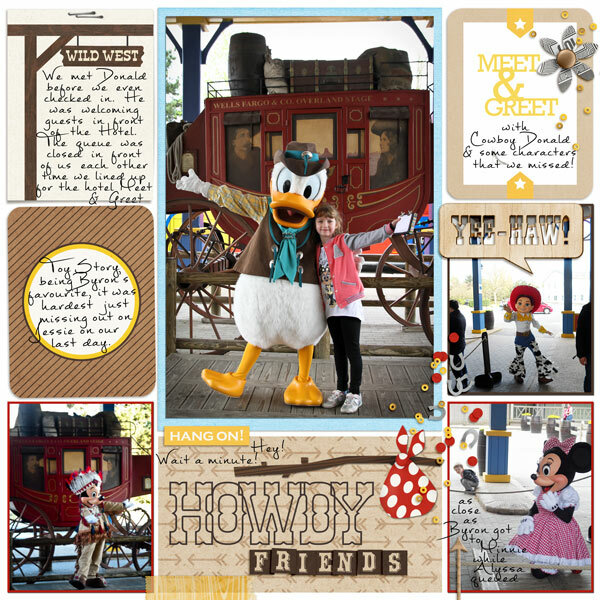 Layer them on top of your photos for a beautiful, graphic design, or cluster and recolor them on journaling cards and hybrid layouts. 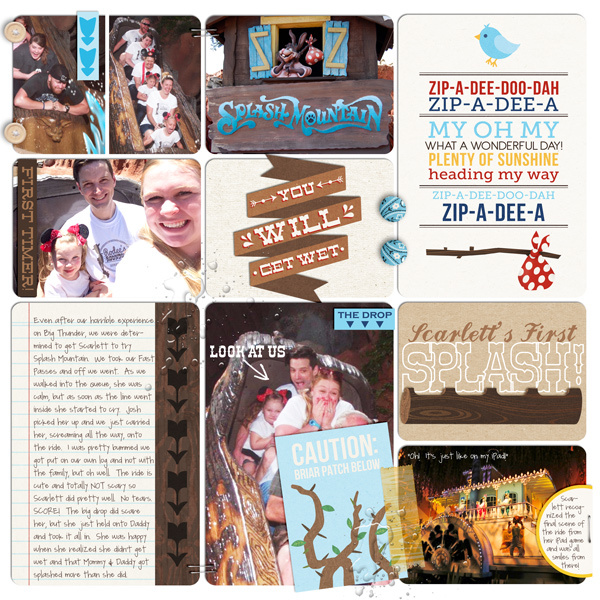 They are even perfect for documenting the more rustic areas of our favorite magical vacation destination! So whether you are splashing down a mountain river rapid, relaxing on a steamboat, or catching a ride on a rickety thundering railroad, you'll find just the right decorative touch in this collection.